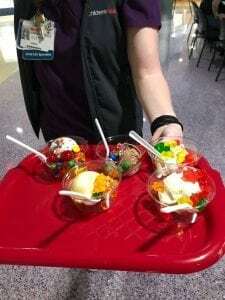 W Hotel Ice Cream Social for Spirit2Serve Week! 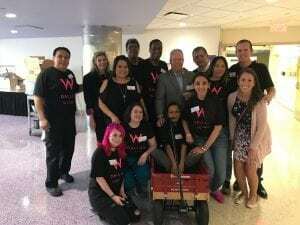 June 26, 2018 | By Fatima V.
The W Hotel which is part of Starwood Hotels and recently joined Marriott International organized an Ice Cream Social for Spirit2Serve week. 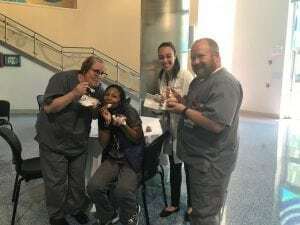 On May 23rd 10 volunteers from the W Hotel served patients, families, and staff a total of 300 servings of ice cream! These 10 volunteers provided a nice cool treat on a hot day!